Rhodes Insurance and the Anderson Agency are two companies that were founded in Aberdeen during the city’s very early days. They have thrived over the years by moving forward and navigating changes with their clients, whom they think of as partners, throughout each new decade. The agency does very little official advertising and relies mostly on personal recommendations from their current clients. Remarkably, their client retention rate is well over 90 percent. They have customers that have been with them for as long as 40 or 50 years, and are starting to see these long-time clients referring their own children to them for their insurance needs. These important achievements speak to their level of customer commitment, especially in a time when there are so many commercials and advertisements that make it sound easy to just go online and have quotes at your fingertips with a few clicks. 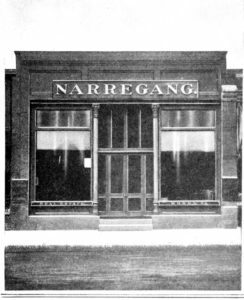 The original Narregang building stood at 320 S. Main Street. Their well-thought business policies and client relations are no coincidence. To understand the company, you have to go back to its beginning. 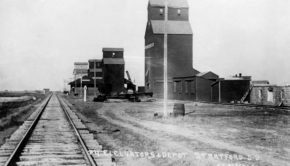 In the 1880s, eager pioneers were flocking to Aberdeen in hopes of building a life in the small town that was quickly sprouting up around newly placed railroad tracks on South Dakota’s prairie. 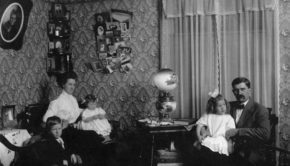 One of our earliest Hub City entrepreneurs, S. W. Narregang, founded the Narregang Investment Company in Aberdeen in 1882. 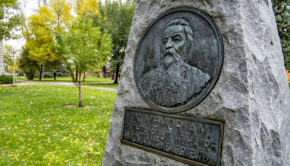 Mr. Narregang remained an advocate for growth and improvement in the city well into the 1920s. One of his most notable projects was the building of the Capitol Theater on Main Street. 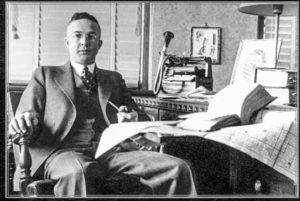 In 1918 he went into business with G. W. Hart, the owner of his own farm mortgage company in Watertown, to create the Narregang-Hart Company. The new business provided financial services as well as insurance products. E.C. Rhodes (pictured) and Fred Hatterscheidt purchased Narregang-Hart Company. This partnership was later purchased by Mr. E. C. Rhodes and Mr. F. W. Hatterscheidt and continued to operate as the Narregang-Hart Company until it merged in 1936, after which it was renamed to Narregang Insurance. Mr. Rhodes was a strong voice for farmers, especially during years that proved difficult for them financially, and spent much of his time learning about their situation and then working with the government and lenders to improve their livelihoods. Notably, according to RhodesAnderson’s website, during the 1930s and Great Depression era Mr. Rhodes, “managed hundreds of clients and led them through the reorganization that followed.” Among other ventures, he is also the founder of the well-known Dacotah Bank. Also during the 1930s, Clifton ‘Clif’ Anderson opened the Anderson Agency in the Citizens Building in downtown Aberdeen. 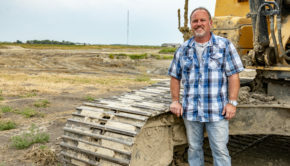 The agency continually grew over the years, and Clif led his company with great customer service and the motto “When the policy is sold, our job has just begun.” His son Carl Anderson joined the business in 1966, as did his son-in-law Dennis Disbrow in 1974. Carl just recently retired, and Dennis is the vice president as well as a commercial and professional liability specialist at RhodesAnderson today. If you asked anyone at RhodesAnderson why they think their organization has been able to stand the test of time, they will tell you that the key to their longevity has everything to do with great leadership and conscientious ownership. 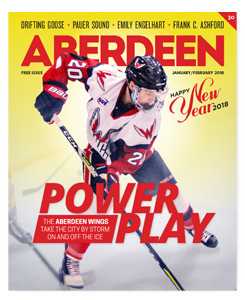 The Andersons, Mr. Narregang, Mr. Rhodes, and others all had huge impacts on the history of the city of Aberdeen. More importantly, they set positive examples of what it means to be good corporate citizens and taught those practices to the younger generations. 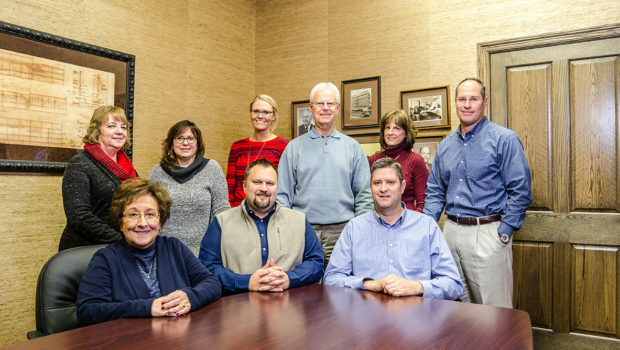 To learn more about RhodesAnderson Insurance, stop in at their office at 401 S. Main Street, call 605-225-3172, or visit their website at www.rhodesanderson.com.